How we use Salesforce Marketing Cloud to drive top of funnel e.g. Social Advertising. How we use Salesforce Marketing Cloud to nurture middle of funnel e.g. Lead Nurturing & Scoring. How we use Salesforce Sales Cloud for lead management e.g. Leads, Opportunities & Campaigns. 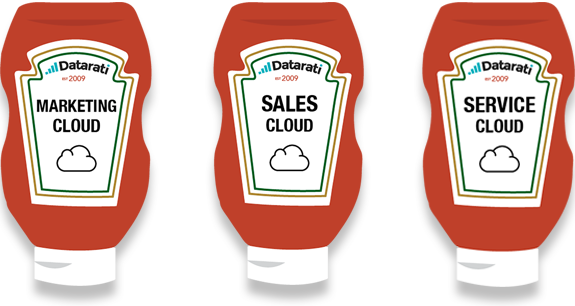 Complete the form to download our 30 minute webinar on Datarati's Secret Sauce to learn how we use Salesforce Marketing, Sales and Service Clouds.